Try your hand a community gardening. 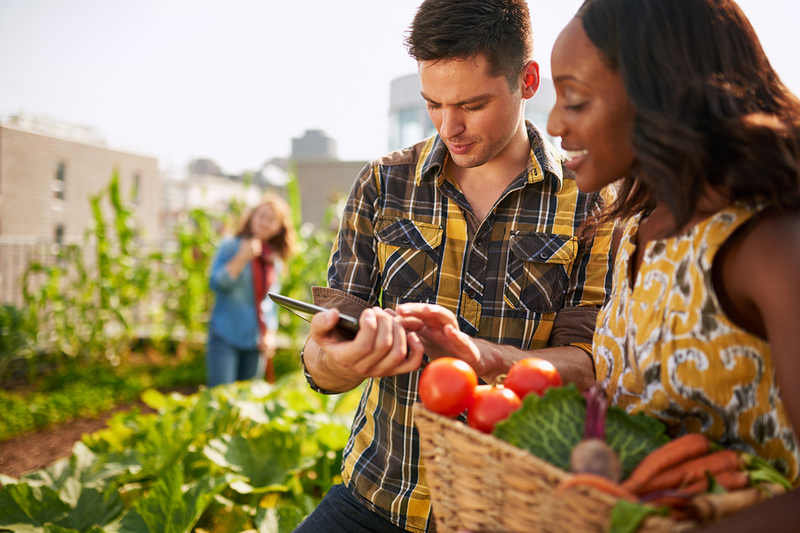 Connect with a community garden or learn how to start your own with the American Community Gardening Association. Gardening offers some exercise benefits and when working alongside others, an opportunity to learn tips at the garden site. Or, make home gardens an occasion for time with family by setting appointments for gardening together, or with friends by alternating time tending each other’s gardens. As a bonus, growing your own fruits, vegetables and herbs can help you enjoy the freshest produce over the coming months. You can also gather a beautiful bouquet of flowers for a friend or family member in need of a smile. Many cities and towns offer free outdoor community fitness classes once the weather warms up. Check with your local recreation department or local gyms that may offer yoga in community parks, Zumba in public squares, or even high intensity interval training (HIIT) in a local hotel. These can be great ways to meet new people and try a new fitness regimen without breaking your budget. If you already have a favorite way to be active, try to invite a friend along, encourage your volunteer group to exercise together, or think of other ways to build community while being physically active. You are all the more likely to stick with your plans if you enjoy them, have fun and participate with others. That means you will have a great support system for meeting your health goals, too. Don’t forget to apply your sunscreen if you are out during peak sun hours (10 a.m. to 4 p.m.) in order to protect your skin!